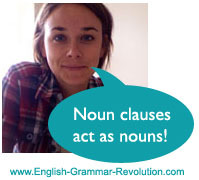 Noun clauses are subordinate clauses that act as nouns. Gee, that seemed obvious! They can perform any of the noun jobs. We'll explore them acting as subjects, direct objects, objects of the preposition, and predicate nouns. We'll go through each of those noun jobs and you'll see what it looks like to have a whole clause acting as a noun. A clause is a group of words with a subject and a verb. Subordinate clauses act as single parts of speech and are attached to independent clauses. 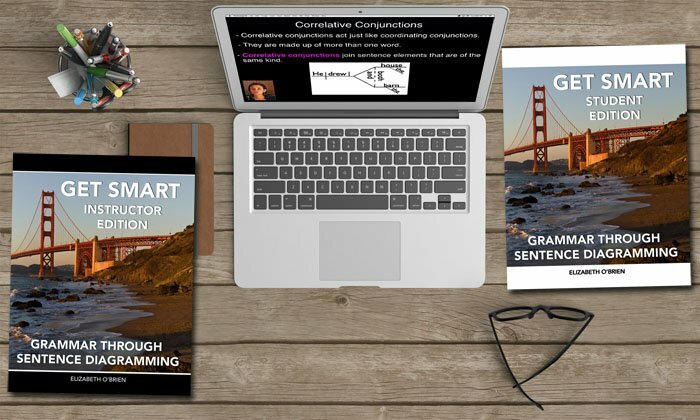 Subjects tell us whom or what a sentence is about, right? Right! Candy is fine with me. Candy is the simple subject in that sentence. It is one word acting as the subject. Now, check this out. Woo! Now there is a whole clause acting as the subject. Whatever you want is a noun clause acting as the subject of the sentence. We know that whatever you want is a clause because it has a subject (you) and a verb (want). We also know that it is a subordinate clause because it does not express a complete thought. 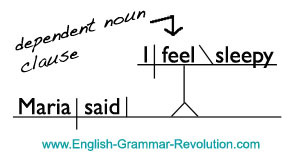 Here is an example of how you would diagram a noun clause acting as the subject. A noun can also be a direct object. Direct objects receive the action of the verb. They are only used with transitive active verbs. Time is the direct object in that sentence. It is one noun doing a noun job. Can you tell me when it is time for dinner? When it is time for dinner is now acting as the direct object. The whole clause is performing one function. Is it performing the job of a noun? Yes. It's the direct object of the verb tell. Is it a subordinate clause? Yes. It does not express a complete thought. 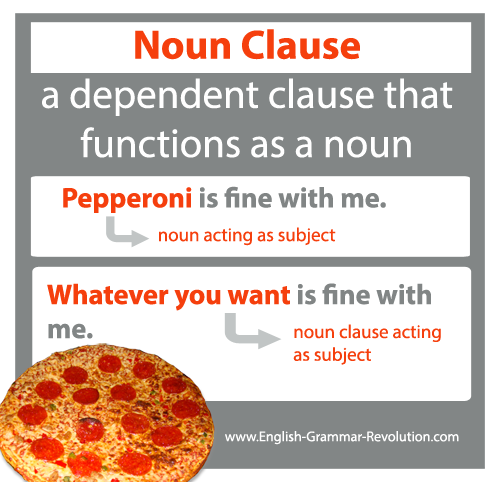 Here is an example of how you would diagram a noun clause acting as the direct object. Here's a quotation from The Little Mermaid. It contains two noun clauses. The prince asked who she was and how she came there. She looked at him tenderly and with a sad expression in her dark blue eyes but could not speak. If you find yourself wondering how to diagram a direct quotation of someone's speech or writing, (direct speech) here's the answer! Many times the person's quotation is a complete sentence. Maria said, "I feel sleepy." I feel sleepy is a noun clause acting as the direct object of the verb said. As you might have guessed, an object of the preposition is another noun job. Read this page about prepositional phrases if you need to brush up on prepositions. Tom is a noun acting as the object of the preposition. I asked about why Tom ate those hot peppers. Why Tom ate those hot peppers is a clause acting as the object of the preposition. Tom is the subject of the clause, and ate is the verb, so we know it is a clause. It can't stand alone, so we know it is a subordinate clause. We've come to the last noun job that we'll discuss here. 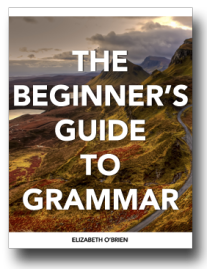 It has been waiting patiently while you read about subjects, direct objects, and objects of the prepositions. This last job is, of course, a predicate noun. If you want to sound smarter, you can also call these predicate nominatives. 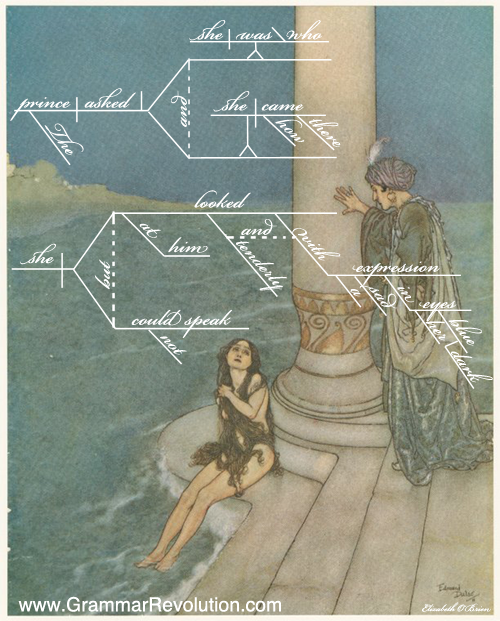 Predicate nouns are the nouns that come after linking verbs. They rename the subject. Pie is the predicate noun. It is one noun performing a noun job. Whatever just came out of the oven is a noun clause performing the job of predicate noun. It has a subject (whatever) and a verb (came), so we know it is a clause. It does not express a complete thought, so it's a subordinate clause! I've never met anyone who was able to explain some of the most complex concepts as simply and precisely as you do. Thank you so very much for sharing your brilliance with us. 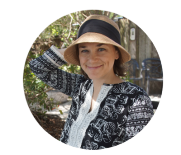 Please let me share how helpful I have found your grammar and sentence diagramming material. It is such a pleasure to use the material with my son as I see how easily he grasps each concept and is able to apply it. I sincerely appreciate the resources you have made available and wish you and your family all the best.